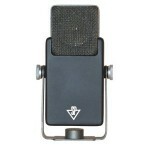 Studio Projects LSM Condenser Microphone for $179.99 (on Amazon) from Leo Laporte. Adobe Photoshop Touch (for iPad2) for $9.99 from Alex Lindsay. Midway Arcade (for iPad) for .99 from Andy Ihnatko. Marked (app store) for $3.99 from Jason Snell.